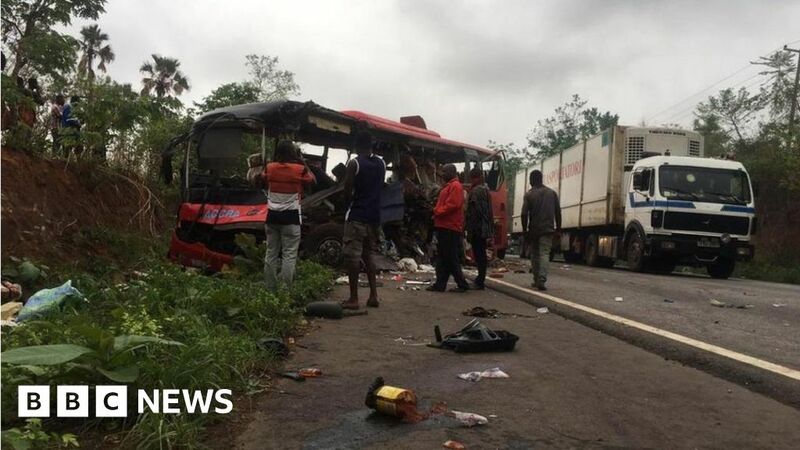 At least 50 people have died and others were injured when two buses collided in central Ghana. Krascen happened in Kitampo town, 430 km north of the capital Accra at 0200 GMT Friday morning, police said. Emergency services are on the premises that save passengers who are still trapped inside the two vehicles. Each bus had about 50 passengers on board. One of the vehicles burned after the collision. 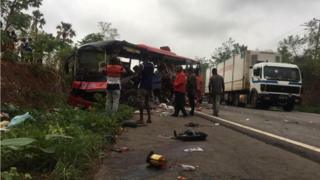 "Most of the passengers in both vehicles died on the spot. A number of those with varying degrees of injuries have been rushed to the hospital," a police spokesman said. Road accidents are common in Ghana. An average of six people die every day on the Ghana roads.